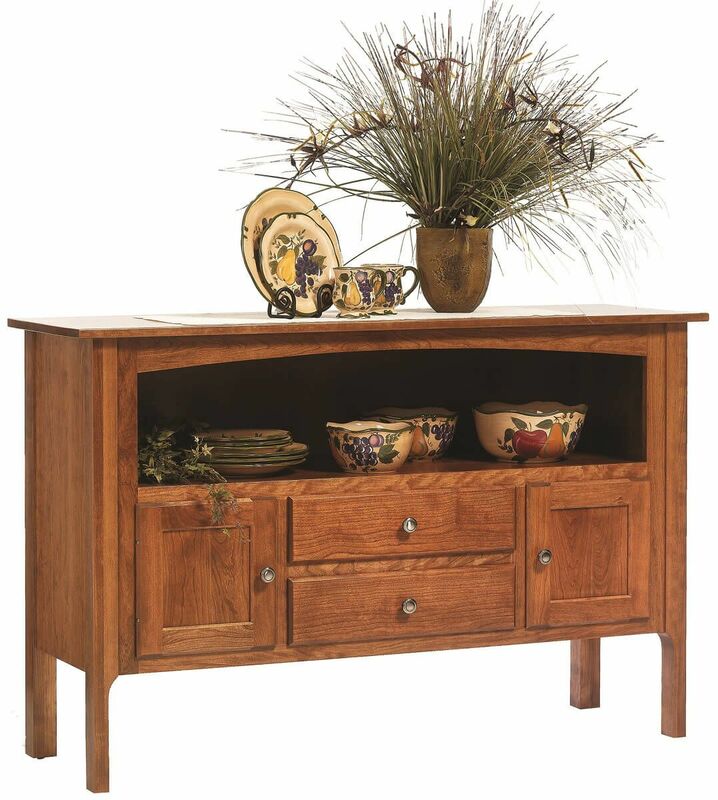 Offered in six hardwoods, our Elisee Shaker Sideboard is a handmade, hardwood buffet perfect for your classic kitchen, dining room, or breakfast nook. Featuring concealed hinges and dovetailed, full extension drawers, your Elisee Shaker Sideboard provides clever storage space and buffet serving and display. This real wood server is part of our Elisee Shaker Collection which features a dining and pub table, handmade chairs, and several pantries. 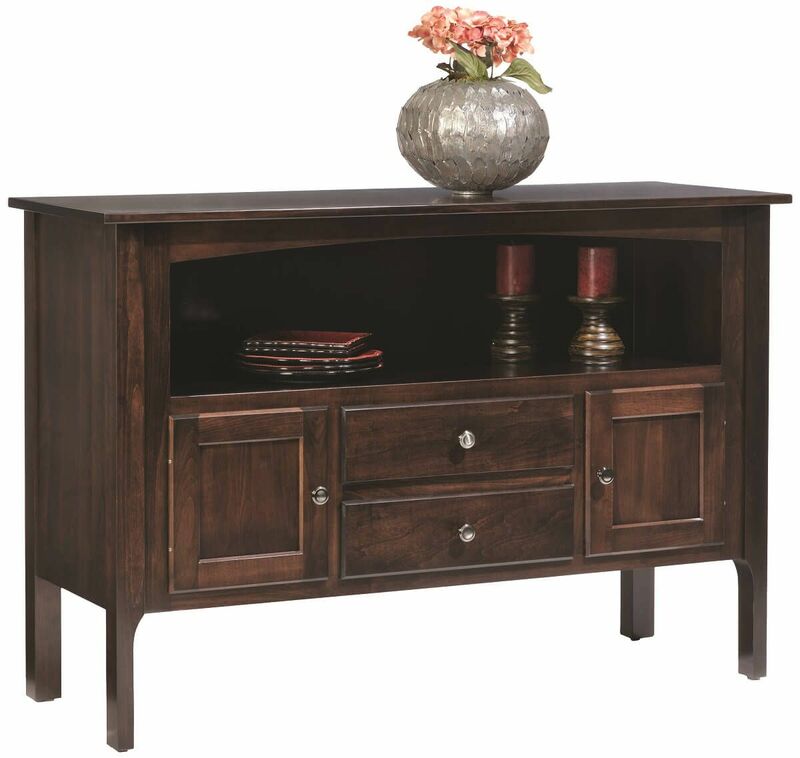 Customize this stunning sideboard with your choice of wood species and stain color from our options menu. Mortise and tenon joinery and old world craftsmanship ensure your Elisee Shaker Sideboard will be in your family for generations. Let us start yours today.